This weekend I attended Ground Zero Animation Expo in Stanton, CA (near Anaheim). It was an awesome experience that was incredibly well done and provided an excellent way to meet both professionals and peers in the animation industry. 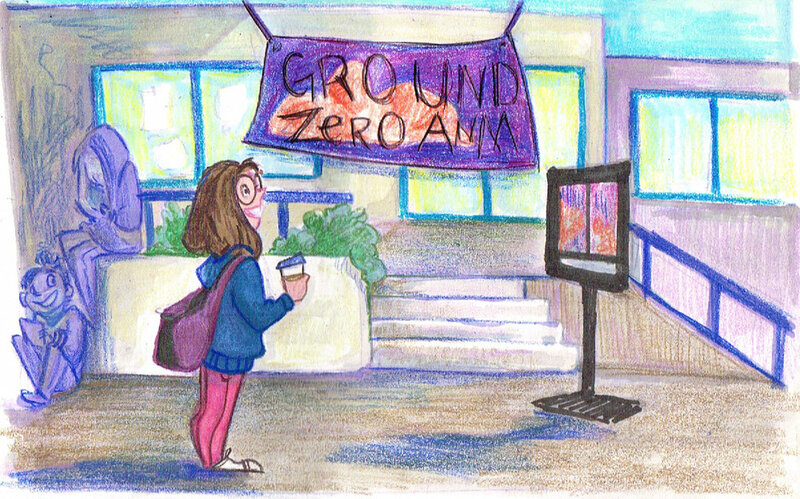 Ground Zero Animation Expo was started by Eva Sowinski and just finished its third year running. Its a much smaller and more intimate conference than CTNx (every November in Burbank) and has a much different atmosphere as well as different goals. Eva explained where Ground Zero began as well as the vision for the Expo on this Ink and Paint Girls Podcast-- definitely give it a listen! I found it on my drive back to Sacramento and it was not only inspiring but also really summed up what Ground Zero is about (...but that should not be a surprise because she made it!) Here's a few notes on my experience--I'd definitely encourage anyone looking to break into the industry, learn more about it, or simply loves animation to check it out!! My journey to Ground Zero start very early in Sacramento Thursday morning--after a run to the store for snacks, coffee, and a ridiculously large breakfast sandwich I was on the road! I decided to drive to this conference by myself, because even though its 5+ hour drive to Southern California from Sacramento I didn't know anyone else from Sac doing animation and most of my cohort at school has already graduated and sought other opportunities--I was feeling pretty animation-lonely out here! Even though I'm an extrovert, I don't tend to do as well at professional conventions or meetings--meeting my art-heros and other professionals just makes me nervous! So going by myself was also a way to force myself to get out there--if you don't bring anyone with you, you can't hide from all the people you don't know! To make this seem less daunting, I stopped by at a friends house in LA and had an awesome weekend catching up and taking her goofy dog to the 'dog beach' and then we ate everything in LA in 24 hours...which was awesome and I was much less stressed. Ground Zero started at 10 am on Saturday...so naturally I showed up just after 8:30am (if you've been to CTNx you know why I showed up so early! !...also lets be honest, only the first so-many people were going to get a swag bag and I wanted one). I was the first in line for about half an hour and at first felt a little strange...like now you all know I'm REALLY excited ...Eva took my picture for social media and then finally some more people showed up at about 9am and then it felt less strange--by the time it opened I heard there were 50 people in line. Another excellent thing about Ground Zero is the size, its small--I'm not sure how many people were there over the weekend, but I could walk the floor and move freely without bumping into anyone and there was no need for crowd control or much people herding. Being a small conference meant that if you wanted to talk to an artist at a table, you could without feeling like you were bothering them or distracting them from a sale. I walked the floor at least 5 times a day in between panels and workshops and I assume others did as well. Everyone seemed as excited to chat as they were to sell artwork and it was much easier to strike up conversation at this conference than CTNx where people are bumping into you or getting in line to buy things or ask questions and its pretty chaotic. In addition the workshops and panels are all small AND long--each was about an hour in length and only had a normal-sized classroom full of people at most. That meant that for workshops, the information was in-depth and informative and there was plenty of time for questions. I went to Amanda Jolly and Andrea Gerstmann's workshops and both gave great talks that were full of very useful and specific information. I normally don't ask questions in the large lectures or workshops at CTNx (even if they are small) but I felt much more comfortable asking at Ground Zero because their emphasis was on learning and entering the industry--rather than CTNx which has a mix of veterans, current industry people and people hard-core-searching for a job. Ground Zero also felt more relaxed than conferences I'd attended in the past. For the Panels, I went to a Character Design one with Stephen Silver and Amber Aki-Huang and a Storyboard Panel with Kris Wimberly, Casssie Soliday, and two other artists who's names I did not catch :( both began with the artists talking about what they do and how they got there and then they opened it up to questions from the audience. Every panel I went to had lots of thoughtful questions from everyone in the audience and excellent advice from the artists. The panels were also geared towards learning, explaining the careers and talking about career paths. Artists took a lot of time to help explain aspects of the job or the industry they'd wished they'd known before they entered. All of the panels and workshops that I attended also had an emphasis on animation 'being a marathon, not a sprint'. Nearly all of the artists expressed not only the hard work it took them to get into the industry but also that taking time to break in WAS NORMAL. 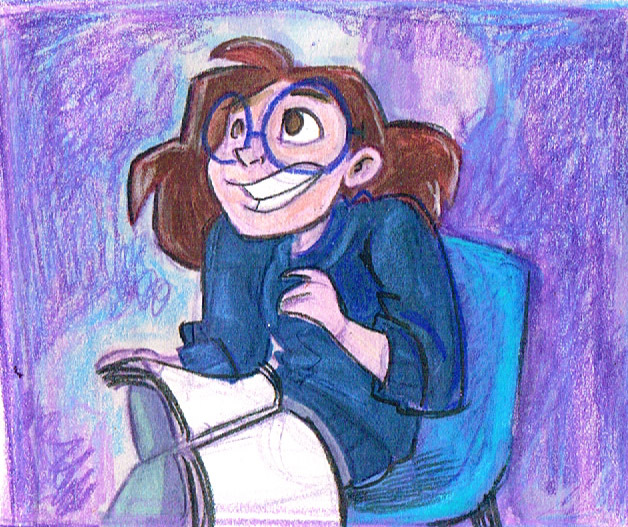 Coming out of a competitive graduate program where I had initially struggled to learn animation and also being one of very few people at my school who worked full time while competing the program, I was feeling very out of place before attending. I felt like I'd missed my chance to enter the industry and was running out of time but every panel and workshop I went to stressed that there was no right time or age to get in and that it was never too late. Several panelists talked about how it took them over 5 or 7 years to land their first art job and that all of that is NORMAL! This was also echoed in my portfolio review with Tiara Little, I was super nervous about the review and I shouldn't have been. Unlike the recruiter reviews at CTNx, this was just for information and she genuinely wanted to help attendees to where they wanted to be in the industry. She had good advice and encouragement and it was overall a good experience that in hindsight I should have been a lot less worried about--I'll work on that next time.